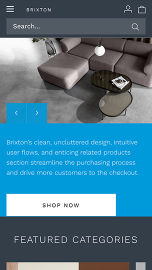 Brixton is a highly versatile, brandable theme optimized for large inventory stores. 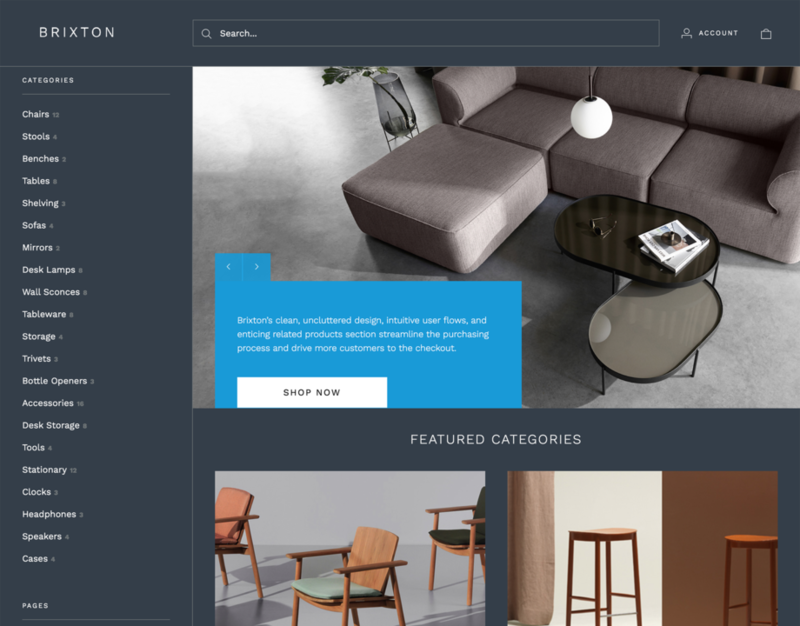 Visually clean and functionally robust, it features persistent left-hand navigation, animated drill-down menus, and detailed product pages that make it easy to convey your products’ features and benefits. Build your brand and scale your business with a theme that’s as easy to set up as it is to shop.